Repa Ith. Ve Ihr. Ltd. Sti. White cement is a hydraulic binder produced for decorative purposes by grinding white clinker, which is obtained from a mixture of special-quality clay (pyrophyllite, kaolinite) and limestone, with gypsum. It is a type of cement used in binding of elements such as tiles, ceramics in luxurious architectural structures. 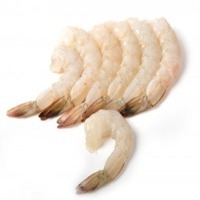 It is one of the products with the highest strength and whiteness in the market. 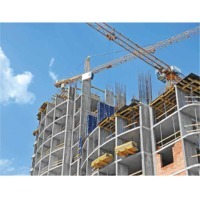 This product is for buildings that require high strength, for general use and structures with aesthetic purposes. Its basic distinctive properties are high strength gain, aesthetic and decorative features, smooth surface and elegant appearance. It has a minimum whiteness rate of 85%. It has a stable shade in addition to its high level of whiteness, which provides a great advantage in the production of building elements. It can be used in colored concrete and mortar. 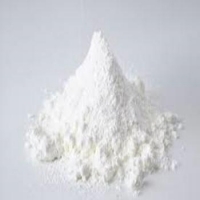 Thanks to its high level of whiteness and fine structure, it is used in the production of building chemicals. One component, white cement based, ber added, high performance, ready machine and hand plaster. 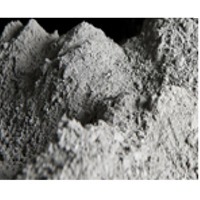 Consists of environmentally friendly additives and aggregates that have special granulometry. HomeSure Primabond is multipurpose white cement based dry powder primer specially blended and developed with supreme quality polymer for durability, adhesion and strength which is ideal for interior and exterior wall. It has excellent alkali resistance and water proofing properties which provides an excellent a strong base and enhances the quality and coverage of decorative paints and other acrylic polymer based coatings. Moreover, it is easy to apply and can be used as an under coat. It also effectively seals all construction flaws, making the surface stronger and beautiful. Features : - Quick drying - No wastage - High durability - Excellent adhesion to base plaster - Excellent sealing properties - Super whiteness & opacity Advantages : - Saves time - Reduces paint consumption - Ease to use/apply - Less surface absorbent - Excellent smooth finish - Consistent work quality Benefits : - Value for money - No need of curing - No odour - Can be used on wet surfaces - Good resistance to moisture - Enhanced coverage & finish of coatings Surface Preparation : - Before application of Primabond, ensure to clean the surface and remove all loosely adhering material from the wall surface with help of sand paper, putty blade or wire brush. 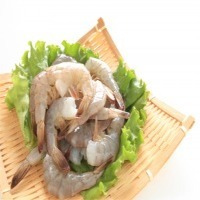 - The substrate should be clean, free from dust, grease and loose materials. Moisten the wall with sufficient quatity of clean water. - For loose plaster areas, remove the defective material and re-plaster the area with Easyplast Ready-Mix plaster. - In case of cracks, voids or any minor damage in base plaster, fill the cracks by using Crack Filler prior to the application. - Pre wet the surface to get better workability, binding properties and coverage for achieving better results (Very Important). Mixing Process : - Take clean water in a bucket/pot and pour Primabond very carefully to water measuring 50% (& not vice-versa). In a ratio of 1:1. - With the help of mechanical stirrer or hand mix the mixture for about 5 minutes to obtain a free flowing homogenous lump free smooth paste. Features Of Cement India is World’s Second largest Cement Producer. India is contributing tremendously to the Supply of Cement across the Globe. The Capacity of Indian market to produce and supply cement is increasing at swift pace. We source the best quality and from the best brands. 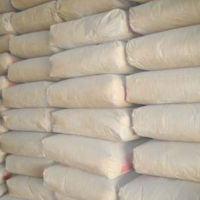 We supply OPC, PPC, Slag cement, White Cement and Sulfate Resisting Cement. Short on time? Let white-cement sellers contact you. White Cement takes artistic expression in architectural design to the next level. A product of the most advanced technologies and manufacturing processes, it offers a pristine white canvas for crafting architectural elegance. Its exceedingly high refractive index and high opacity imparts brilliant lustre and a smooth finish to surfaces, even when blended with pigments. It offers the freedom to create designs with a wide palette of colours, textures, shapes and sizes. Birla White is the preferred white cement for decorative paints, plasters, Mosaic tiles, Terrazzo flooring and white cement based value-added products. White cement of Indian origin meeting all the international standards and very fine quality. 50/40 kg bags and also in 1.7 mt. White Cement Based Wall Putty HomeSure Wall Putty is a white cement based polymer modified wall putty specially developed as a finish coat to cover unevenness and pinholes in plastered surfaces and to make the walls/ceilings ready for painting. 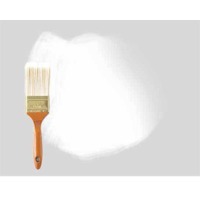 As it is white, it can be treated as a base coat for painting. What is a skim coat? 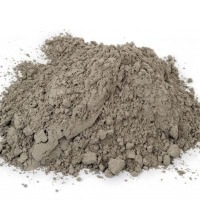 : A skim coat is a thin layer of cementitious plaster which is â??skimmedâ?? e.g. applied very thinly onto the interior and exterior of plastered and concrete surfaces. we are wholesale of Portland cement contact us for wholesales price . 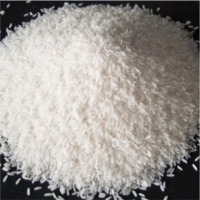 Sio2 silicon dioxide 21 % al2o Aluminum oxide 5.30 % fe2o3 Ferric oxide 3.30 % cao Calcium oxide 65.60 % mgo Magnesium oxide 1.10 % so3 Sulphur trioxide 2.70 % loi Loss of ignition 0.90 % C3a tricalcium aluminates 8.05 % C3s tricalcium silicate 60.00 % C2s dicalcium silicate 15.00 % c4af Tricalcium alumino ferric 9.76 % Physical and mechanical properties Blain cm2/gr 3.250 Autoclave expansion 0.02 Initial setting time (vicat) 105 minutes Final setting time (vicat) 135 minutes Compressive strength 03 days - 230 kg/cm2 07 days 305 kg/cm2 28 days 420kg/cm2. On the customer requirements. BuildWell Colour Putty is a wall putty with added advantage of shades like Pink, Yellow, Green and Off-White, especially developed as a base coat to provide smooth finish on plastered surface, and hence ideal for expensive paint application because paint saving can be up to 50%. 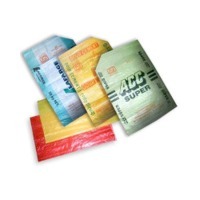 It contains finest quality minerals, polymers, white cement and pigments. It can also be used for low end application like basement parking lot, etc as 'Final Finish'. Benefits : - Reduces paint consumption - Avoid frequent repainting. - Cost effective. - Aesthetic look for ceiling and Interior walls. - Ease of use at site. Advantages : - True colour tone of the paint is maintained, primer is not required. - Protects expensive paint from dampness, peeling off, and flaking. - Makes paint durable. - Suitable for Interior. - Paint finish is superior. 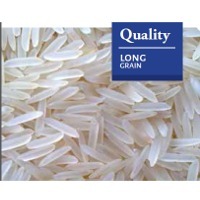 Vietnamese Long grain white rice Product Description Long grain white rice of our company exports to many countries in the world following specifications: + Broken : 5%, 10%, 15%, 25% max + Moisture : 14% max + Chalky kernel : 3.0% max + Damaged kernel : 0.5% max + Yellow kernel : 0.5% max + Red and red streaked kernel : 0.5% max + Glutinous kernel : 0.5% max + Foreign matter : 0.5% max + Paddy per Kg : 7 pcs + Purity : 90% + Average length of whole kernel : 6.8mm + Milling degree : well milled and double polished, sortex + Crop Year : 2014 Besides, Minh Lap Thanh Co.,Ltd also provides other kinds of rice such as: Jasmine Rice 3% & 5% broken, Long grain fragrant rice 3% & 5% broken, Brown rice/ Cargo rice, Parboiled brown, cargo rice, Long grain parboiled rice 5% broken sortexed, Parboiled 100% broken rice sortexed, Long grain glutinous rice 5 % & 10% broken, Sort grain fragrant rice: 3% & 5 broken.